Once Atlanta’s tallest residential building, the Peachtree Towers building now offers more than 300 condos, coming in everything from studios to two-bedroom designs. Found right in Downtown Atlanta, the location makes it easy to enjoy some of the best offerings of Atlanta, with countless options nearly at your doorstep. Originally constructed in the early 1960s, the pet-free building has been renovated with newer upgrades in more recent years, including the addition of better energy efficiency and more modern touches. The towers are regarded as extremely quiet too, with impressive sound-proofing that makes living in the high-rise peaceful, yet still surrounded by the vibrancy of the downtown area. 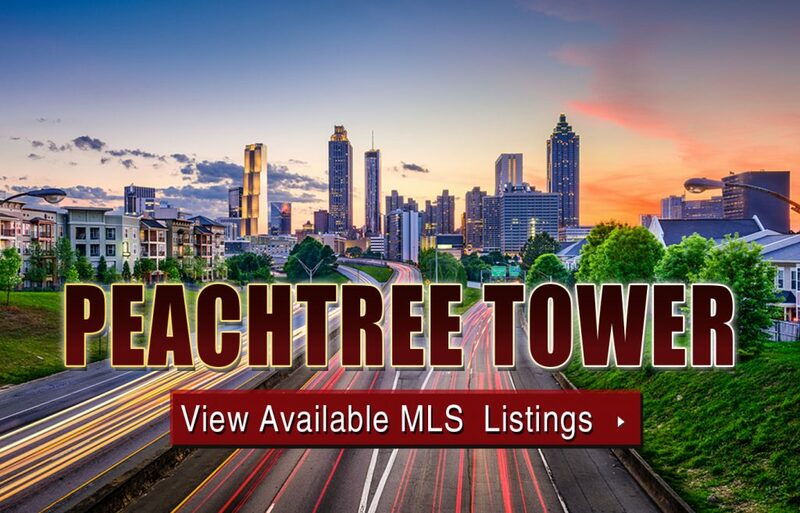 If you’d like more information about Peachtree Towers condos for sale, give us a call now or take a closer look at what’s currently on the MLS by clicking the link below. Listed below are recently closed sales at Peachtree Towers Atlanta. Whether you’re thinking about buying or selling a condo at Peachtree Towers, checking to see what other comparable properties have sold for in recent weeks and months provides helpful insight into current market conditions within the community. For more information about Peachtree Towers condos for sale for sale or for a complete list of recent condos sold in the neighborhood, contact The Zac Team today! Can’t find what you’re looking for in Atlanta’s Peachtree Tower condo building? Start browsing other Atlanta real estate for sale or give the Zac Team a call at (404) 564-7200 for help with your new home or condo search today!